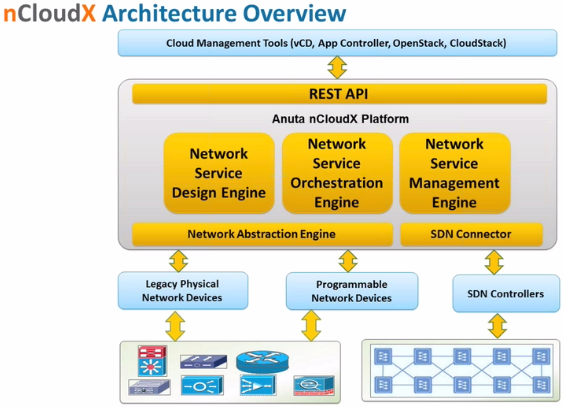 On March 26, 2013, the Packet Pushers held a sponsored webinar with Anuta Networks to introduce their nCloudX controller to our networking community. A bit about their background, the problems they are going after, and how nCloudX addresseses these challenges. 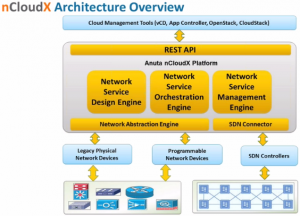 An explanation of the nCloudX architecture, so you’ll understand how it fits into your environment. You’ll want to take special note of the discussion around the slide that shows up about 8 minutes in, seen below. A demonstration of some of the major tools in nCloudX, including the service design and delivery engines. A demonstration of nCloudX interacting with both OpenStack and VMware vCloud Director. These were LIVE DEMOS with real working software done during the webinar event while the audience watched. Along the way, Packet Pushers co-hosts Greg Ferro and Ethan Banks discuss major points with presenters Nat Chidambaram, CCIE #5792 & Director of Product Management and Reddy Bhupathi, CCIE #22151 & Principal Architect.